There are many new musicals that will be vying for a Tony nomination this year. Some are movies turned musicals: King Kong (currently playing), Pretty Woman (currently playing), and Tootsie (starting March 29). Some are jukebox musicals: The Cher Show (currently playing) and Ain’t Too Proud: The Temptations Musical (starting February 28). One is a musical adaptation of a folk opera concept album by Anaïs Mitchell called Hadestown (starting March 22). And some are original new musicals: Gettin’ The Band Back Together (opened and closed in 2018), Be More Chill (starting February 13), and The Prom (currently playing). A few of the musicals set to open are going to be strong contenders for the Tony for Best New Musical, but of those currently playing, I think The Prom is the favorite and will surely get a nomination. This show is a musical comedy, so you should expect over-the-top humor and exaggerated performances to keep you entertained. And The Prom delivers with self-awareness and little regard for political correctness. The show opens with a group of aging, narcissistic Broadway actors who scroll through Twitter trying to find a cause to get involved with to better their image as activists. Enter Emma—a high school student who wants to bring her girlfriend to the prom—but her small town in Indiana is so opposed that the Parent Teacher Association cancels the prom altogether to stop her. Without consulting Emma, the Broadway crew races to her side to protest and reinstate a prom where she can take her girlfriend, and so the drama (and comedy) ensues. The laughs are many, and the feels are high as the show explores themes of acceptance, the role of the arts in school, and personal growth in between the promposals and witty repartee. The music is poppy and upbeat, and you’ll be sure to leave the theatre bopping along to the final song “It’s Time to Dance” or singing, “life’s no dress rehearsal” from the other big company number “Tonight Belongs to You,” though these are not the only memorable songs. There is a same-day rush when the box office opens for two tickets per person. Currently, Telecharge is also offering a discount to see the show through April 21st for up to $50 off tickets. Additionally, tickets have appeared at the TKTS booths for $83-93 and are usually orchestra tickets. Lastly, if you sign up for TDF, this is one of the shows that has appeared before on their listings for members (just a reminder that Broadway tickets are under $50 for members and membership is now $40). 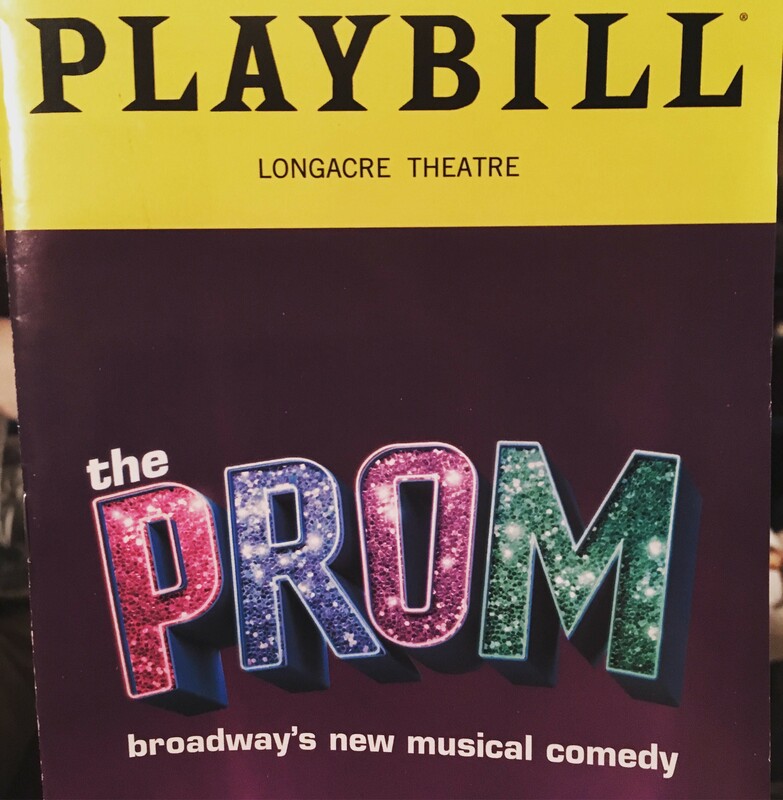 The Prom​ is playing at the Longacre Theatre (220 W 48th Street). As the new year approaches, I wanted to draw your attention to three limited engagement plays that hit Broadway this fall and are set to close in January: The Lifespan of a Fact, Waverly Gallery, and American Son. The most lighthearted among the three is The Lifespan of a Fact. This play features Daniel Radcliffe as an intern at a magazine whose superior, played by Cherry Jones, assigns him to fact-check an article by a writer who prefers “truthiness” to truth (though this writer, played by Bobby Cannavale, would immediately correct me to say that he wrote an essay, not an article, and that there isn’t really a difference between truth and “truthiness” or maybe that “truthiness” has more truth). With this highly topical play, you’re in for ninety-five minutes of absurd humor that considers the value of facts and the role the media has in telling the truth. If you prefer to trade in the absurd for something that grounds itself in terrifying realism, you should make sure to see Kerry Washington (famous for Scandal) and Steven Pasquale (from Rescue Me) play parents of a biracial teenager caught up in a police incident in American Son. While the play focuses on one incident with one particular family in the middle of the night in a police station in Florida, Christopher Demos-Brown’s writing and Washington’s emotional performance excellently portray how her character’s frustrations and worries about her black son are the worries of many black mothers in America, sentiments that her estranged white husband fails to grasp for the majority of the play. The dynamic portrayed by this couple also delves into some of the challenges of interracial marriage and raising biracial children to have a cohesive identity in a world that won’t see them in their entirety. It’s a lot to tackle in ninety minutes, but this cast will keep you engaged and in suspense until the lights go out. The Waverly Gallery is also based in realism but can often feel surreal as you are drawn in by Elaine May’s masterful performance of a feisty New Yorker facing Alzheimer’s disease. May returns to Broadway after fifty years to portray Gladys Green, a liberal activist in her eighties with Alzheimer’s who has been running a small art gallery for many years, from which the play takes its name. While the gallery isn’t thriving at the time the play begins, it is still serving as a familiar place for Gladys to remain engaged as her dementia progresses. This play explores how a person with dementia and their family cope as Alzheimer’s takes its course. Although a heartbreaking topic and portrayal, you’ll find yourself laughing throughout at the odd relationship Gladys develops with a young artist, played by Michael Cera, and maybe some all-too-familiar family dynamics. All three plays have rush policies (listed below) and have recently been listed for same-day discounts at the TKTS booths. If you can’t wait for Thanksgiving to have a slice of pie, you can go down to the diner at the Brooks Atkinson theatre to get yourself a piece of pie in a jar. 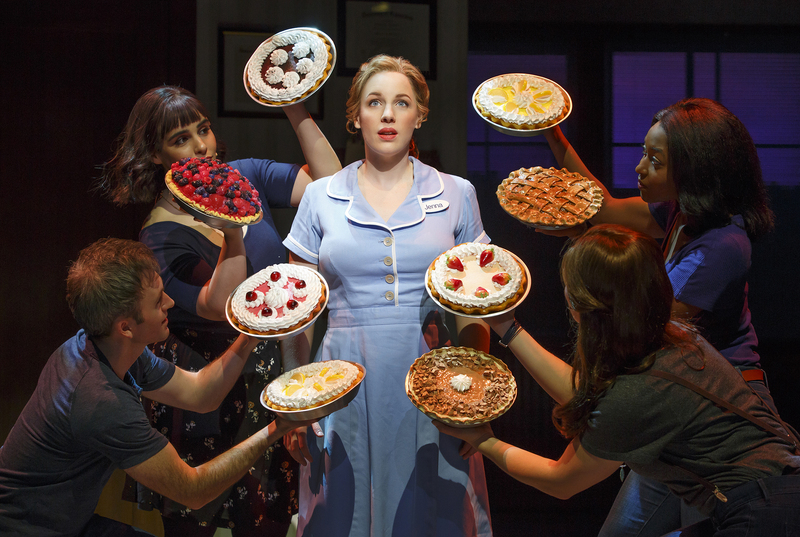 Waitress has been dishing up jars of pie and slices of musical joy since the spring of 2016. Before every show, pie is baked fresh in the lobby so that you are greeted by the intoxicating smell upon entering to prepare you for the baked goodness ahead. This movie–turned-musical follows the empowering story of Jenna, a waitress in a small town pie diner who sees baking as a way to escape from her unhappy marriage. I love that a theme of this musical is the excitement and hope of new beginnings, and even more so, that this show has a history of giving actors a chance to make their Broadway debut. This was the first musical that Sara Bareilles wrote the music for and later starred in as Jenna. Katharine McPhee from Smash and American Idol also made her Broadway debut in this role, as well as Nicolette Robinson from The Affair. Katie Lowes from Scandal made her Broadway debut in this show as Jenna’s friend and coworker, Dawn, as did Kimiko Glenn from Orange is the New Black. In addition to giving many women their Broadway debut, Waitress also made history by having the first all-female creative team for a Broadway show. Some guys have also had their first chance to be on the Great White Way in Waitress: Jason Mraz had his Broadway debut as the doctor in this musical, and the latest celebrity addition is Al Roker in the role of Joe, an older man who owns the pie diner. Celebrities aside, the talent runs deep in this cast and the music will bring you joy for days to come with Bareilles’ earworms. But Robinson and Roker announced that they will be extending their run at Waitress until November 18, so you still have time to see them in action and enjoy some pie in a jar before the holidays (you won’t regret getting the salted caramel chocolate). You also won’t regret going to see Waitress this month because you will have the opportunity to help Waitress win a competition against the other shows. It’s not for a Tony, but it’s extremely valuable; twice a year an organization called Broadway Cares/Equity Fights AIDS hosts a friendly competition between the shows to see who can inspire their audiences to donate the most, often with a brief auction for signed memorabilia held directly after the show. In the organization’s own words from their website, they help “men, women and children across the country and across the street receive lifesaving medications, health care, nutritious meals, counseling and emergency financial assistance.” They are one of my favorite places to donate money to because I have full confidence that it will be used well to support individuals in the arts community when they need it most. So enjoy some pie, help some artists, and have a great start to the holiday season! With another academic year underway and Halloween at our heels, what better time to see Harry Potter and the Cursed Child? In this two-part play, the Hogwarts students that we came to know so well through J.K. Rowling’s seven book series now have kids who are attending the same school of witchcraft and wizardry and having their own adventures. Like many Potter fans, I picked up the script when it was published, hoping for a nostalgic hit of the magical world from my childhood. And like many fans, I was disappointed with what I read because it didn’t have the feel of J.K. Rowling’s writing, making it easier to start nitpicking at the plot and some character developments. I still knew I was going to see the show because I’ll see anything Harry Potter related, but I had reservations. Would John Tiffany and Jack Thorne’s script be translated to magic on the stage? Or would it feel like a commercial cash cow? Did it need to be two shows? The most affordable way to see the show is by entering the Friday Forty on the TodayTix app. Every Friday from 12:01 a.m. until 1 p.m., you can put in an entry for the following week’s shows, and then they contact the winners between 1 p.m. and 5 p.m. that same Friday. New blocks of tickets are released every few months from the box office if you want to avoid paying marked-up resale prices, but you might have to wait a few months for your date. However, another Broadway secret to getting a ticket to a nearly sold out show is cancellation lines. The show’s popularity and the day’s weather usually determine how early people start forming a line at the box office for cancellation tickets. These are tickets that are returned to the box office on the day of the show; the box office will sell these tickets to the first person in the cancellation line as the tickets are returned. Most cancellation tickets aren’t sold until minutes before the show is about to start, and frequently these are center orchestra tickets at face-value. The number of returned tickets fluctuates every day (though rainy days tend to have more), and this is not a guaranteed option. You could wait all morning and go home empty-handed. This was the option I decided to go with to see the show this summer. I always bring something to read with me to pass the time, but I’ve also had many wonderful experiences meeting new people in theatre rush or cancellation lines because everyone already shares a common interest in the show. There is also often a sense of camaraderie in waiting so you can pop out of the line to get food or coffee or find a restroom. This summer, I got in line around 9:30 a.m. and about five minutes before the show started, I was called into the box office to get a ticket that was ten rows from the stage, directly in the center of the theatre for face-value. Still a splurge, but definitely worth it. My reservations about seeing the show quickly vanished as I watched the magic unfold on stage. The costumes are stunning and the staging is impressive. Even the carpets around the theatre are on theme; the Lyric Theatre was specifically redone for $33 million dollars for this production, and it shows. They even have a cafe inside where drinks, sandwiches, and snacks are surprisingly available for prices that may be cheaper than what you can find around Times Square otherwise. This play is promoting a #KeepTheSecrets social media campaign that encourages people who have seen the show to not reveal the visual effects and moving moments so that everyone who comes to see the play can share the same experience, even those who have read the script. I want to respect that tradition, so I will avoid sharing details. But I will say that the acting and staging dramatically change the experience of the story from just reading the script, and the visuals are some of the most impressive I’ve ever seen on stage. I found myself being more drawn into the themes of how PTSD affects parenting (because how could Harry not have PTSD) and how being raised by people of fame changes childhood more than I was when just reading the script. So if you’re coming to see the original book series or movies on stage, you might be disappointed, but if you let a new story be told in the same realm you are familiar with, you’ll get your hit of nostalgia with a great day of theatre. Does it need to be two shows to tell the story? Probably not. Does it need to be two shows to let you soak in the magic that theatre and Harry Potter can pull off in just a few hours? Probably. One of the best ways that I know how to take myself out of lab life is to see live theatre, and I’m lucky that New York City offers an overwhelming number of options to do this affordably (though Hamilton ticket prices may have you fooled about this). One of the aspects I love most about going to the theatre is the acute feeling that I am part of a connected community. As an audience member at a live theatre performance, you’re part of the experience in a way that is different than watching a movie or reading a book (pastimes I also enjoy and support!) because your attention and energy mix with those around you. This atmosphere affects the performers and the audience’s experience, for better or worse. One of my more memorable theatre-going experiences was seeing the final performance of The Color Purple revival in 2017. The Clintons arrived. The house shook with applause that never quite died down as each song about the female protagonist, rising above the oppression of the men in her life, unfolded on stage. Not every theatre experience is as emotionally charged as that one, but they all offer a chance to see life from a different perspective and with a unique group of people. In future posts, I hope to highlight shows I’ve watched on and off Broadway, but this time I want to give you tips for seeing theatre on a budget. If you are a full time student, teacher, or faculty member (or other qualifying category), the Theatre Development Fund is your friend — https://www.tdf.org/nyc/24/Eligibility-Requirements. For just $35 a year, you will have access to dozens of theatre experiences in the city, many of them on Broadway. You can purchase tickets in advance for multiple people, and prices range from $9-49, with only a $4 processing fee. Hamilton and Wicked won’t show up through this service, but popular shows like Carousel and Hello Dolly have. You don’t find out where your seats are until you arrive at the theatre, but I’ve often lucked out with orchestra seats! Seeing Broadway on a budget is rarely going to get better than this. Lotteries also offer a way to see a Broadway show inexpensively, but of course, you shouldn’t rely on winning to have plans to see theatre that night. Some shows like Mean Girls, Book of Mormon, and Once On This Island offer in person lotteries every day that are usually drawn two hours before the performance. In the last couple of years, many shows have begun to offer digital lottery options. Broadway Direct (https://lottery.broadwaydirect.com/) offers digital lotteries for Lion King, Aladdin, Spongebob, and Summer. The TodayTix app (https://www.todaytix.com/) currently offers the digital lottery for the Harry Potter play on Broadway. Also, shows such as Hamilton (https://hamiltonmusical.com/lottery/), Dear Evan Hansen (https://dearevanhansenlottery.com/), and Book of Mormon (https://www.luckyseat.com/book-of-mormon/) offer their own digital lotteries on dedicated websites. If you have patience, rush tickets are also a wonderful budget-friendly option. Some shows restrict their rush policies by age or student status, but many are open for the general public. Rush tickets are sold when the box office opens (typically 10am Tuesday-Saturday and noon on Sundays), but you’ll want to get in line at least a couple hours before to better your odds. Each show has discretion for how many rush tickets they will sell on a given day, but you can usually count on around twenty tickets sold at the rush price. If you’re one of the first ten people on line, your chances are pretty good. Some shows have also started offering a digital rush in the TodayTix app as well, including shows at The Public Theater (https://www.publictheater.org/). Speaking of which, don’t overlook seeing shows Off-Broadway! The houses are smaller so the shows are more intimate and the tickets are often more affordable. Student discounts or age-related discounts are also usually available if you ask the box office. I’d recommend checking out The Public (https://www.publictheater.org/), 2nd Stage (https://2st.com/), New World Stages (https://newworldstages.com/), Classic Stage Company (https://www.classicstage.org/), and the Atlantic Theatre Company (https://atlantictheater.org/) for starters. There are also four TKTS booths around the city (https://www.tdf.org/nyc/7/TKTS-ticket-booths) that offer same day Broadway and Off-Broadway tickets at a discount. The seats are usually in the orchestra section, so you might still be paying more than $50 for a ticket, but your view will be great and it’s still cheaper than buying from the box office. The TodayTix app sometimes offers tickets for a discount compared to the box office, but not all the time so be sure to double-check! This isn’t an exhaustive list of budget-friendly ways to see theatre in the city, but it should be plenty to get you started! Always get in touch with the show’s box office for the most accurate information on rush or lottery policies. And here’s a website that keeps up with the rush and lottery options for Broadway shows (http://www.broadwayforbrokepeople.com/). Remember to be kind to the audience members around you by turning off your phones, unwrapping your candies, and keeping fidgeting and talking to a minimum during the performance. And of course, enjoy the show!